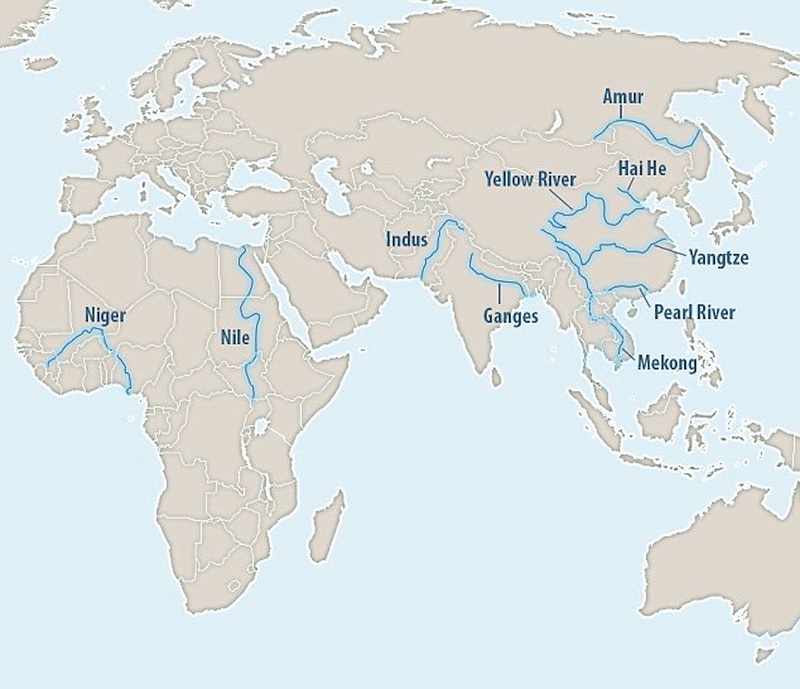 According to the Helmholtz Center for Environmental Research in Leipzig, up to 95% of river-borne plastic comes from just ten rivers: Amur, Ganges, Mekong, Niger, Nile, Pearl River, Indus, Hai He, Yangtze, Yellow River. The Yangtze is the main culprit. Yangtze River and basin: 912 tonnes of plastic deposited per day.